If you’re having an average day, have no fear, little Ozzie the puppy is here to lift your mood with cuteness. The adorable pooch has gone viral after his owner Emma Green from Georgia shared a moment of touching generosity, as Ozzie tried to share his toy with a dog he could see on the other side of a mirror. 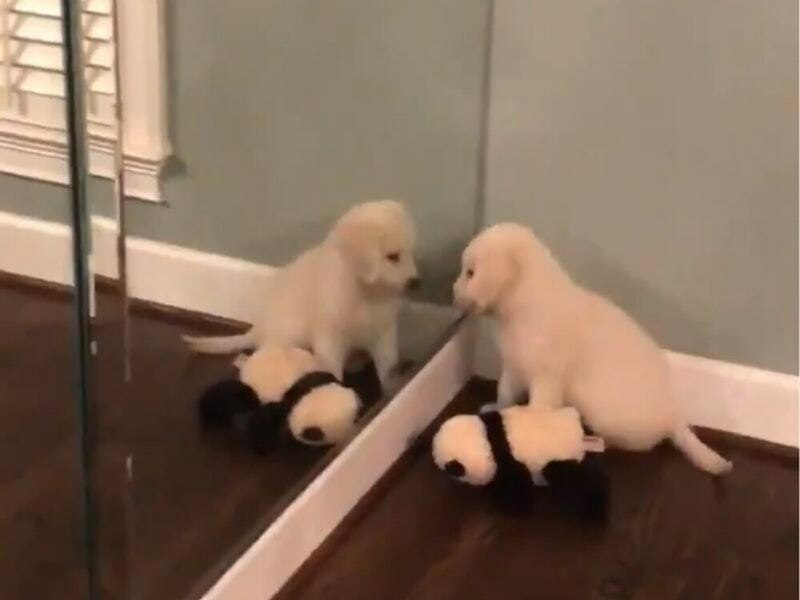 Of course the three-month-old pup was actually trying to share with his reflection, but his failed attempt might be appeased for him by the fact the mirror pup had a toy too. College student Green said that the Ozzie used to check on his reflection every day to see what it was up to. Ozzie’s adorable moment bagged him a spot on viral dog-praising Twitter account WeRateDogs, which very much understood his plight. The puppy’s moment of generosity reached over two million views and 42,000 retweets on WeRateDogs. If you want to fill your days with more Ozzie antics, the pup has his own Instagram page filled with adorable pictures.